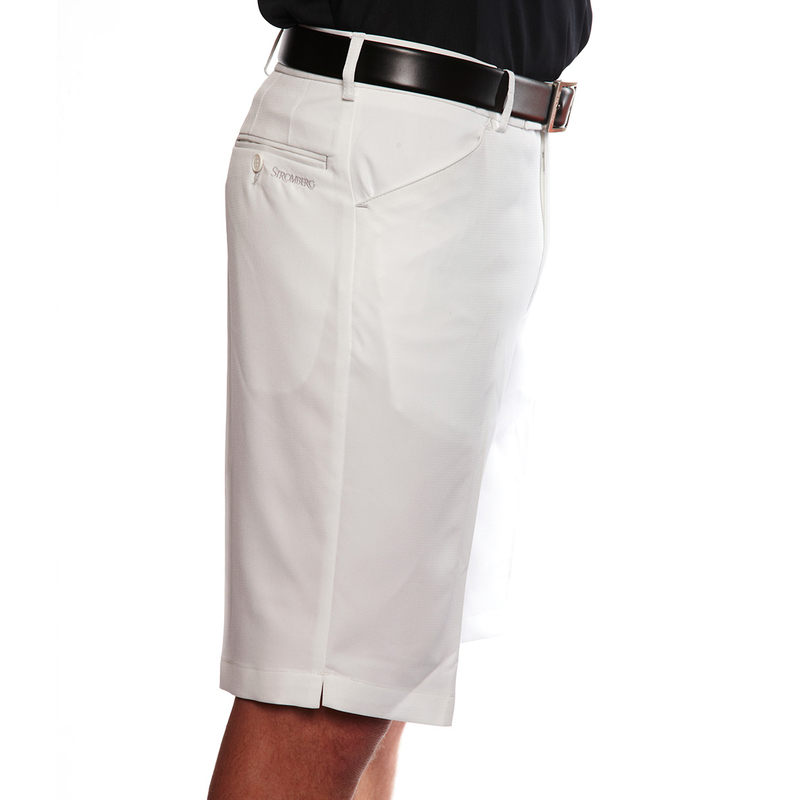 These high quality golf shorts feature a breathable fabric to keep you dry and comfortable during play. The shorts are quick drying and have one of the highest levels of moisture wicking levels on the market, transporting moisture away from the skin quickly,for less distraction during your game. For a added style the shorts feature contrasting coloured stitching, and have back pockets for quick and easy access of all your small accessories. The shorts are non iron, anti-static and are abrasion resistant for a long lasting appeal.